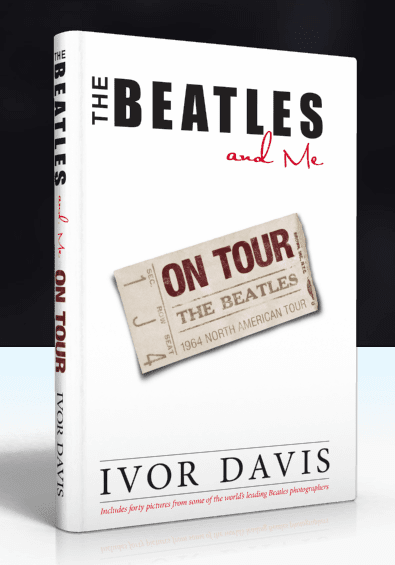 I recently had the enormous pleasure of receiving a copy of Ivor Davis' book 'The Beatles and Me On Tour' and it is simply a wonderful behind the scenes look into the Beatles 1964 Summer tour of the United States of America and Canada. "There's a rock and roll group coming from England for their first American tour. They're called the Beatles and I want you to fly to San Francisco in two hours and join the tour. Eat with them, drink with them, do whatever it takes to get close to them.Also, George Harrison has agreed to do a column for us but you'll be writing it." For any Beatles fan, that assignment would be the golden ticket but for Ivor Davis, not much of a fan of rock and roll, it was just another gig. Little did he know how this assignment would be something he would recall more than 50 years later for a book. In the book, Ivor recalls getting to their hotel which was in the grip of Beatlemania and a few harrowing moments at reception when he was being refused access to the eleventh floor, the Beatles' floor. When they finally let him get on the lift and the doors opened at the Beatles floor, he was met by Derek Taylor, The Beatles' press officer. From then on, Ivor was close at the Beatles side. His introduction to the Beatles themselves was lukewarm, the lads were severely jet-lagged having just flown from England the day before. 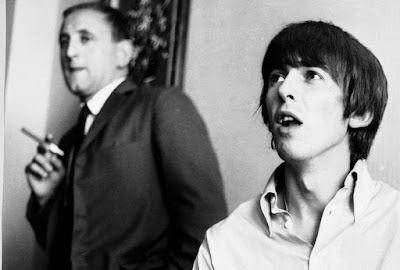 When Ivor met George, he was staring at a TV with the sound turned down and asked if there was "any toast left", Ringo was wandering about, John greeted Ivor by calling him "Ivan the Not-So-Terrible" and Paul seemed fascinated by the fact that Ivor was English and living in America, Ivor describes Brian Epstein's reaction to him as much the same as Paul's. The tour had opening acts such as the Righteous Brothers, who left the tour mid-way due to nobody listening to them. Other opening acts were Jackie DeShannon, the Bill Black Combo (Minus Black himself who was too ill to tour) and the Exciters. The Beatle who Ivor described as having the most fun on the 1964 tour was Ringo, who disappeared for a night without telling anyone and went on an adventure! Ivor also talks about the night the Beatles met Elvis Presley in 1965 and how he was witness to one of the great meetings of Rock 'n Roll culture. One of the best things about this book is Ivor's honesty about what went on. Reading this book, you get a personal insight into John Lennon on that 1964 tour in particular. He references other writers and media in the book and also clarifies some of the many legends that have built up over time. One such story in the book is what really happened when Bob and the Beatles got together on the tour. The book also features over forty pictures of the Beatles from leading photographers such as Curt Gunther and Harry Benson. This is a fantastic look at a moment in time in the Beatles career, their mad, crazy tour across the United States which was in the vice like grip of Beatlemania. 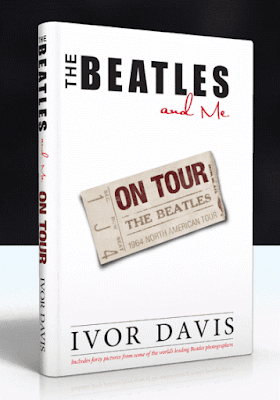 Of course, the Beatles had touched down in the US once before in February for their explosive debut on the Ed Sullivan Show, that was only a short trip though and a US tour was hastily arranged for the summer and, luckily for us, Ivor was there to witness and document it. You can follow Ivor Davis on Twitter and check out his website to buy the book here. Great review! I'll have to check the book out!